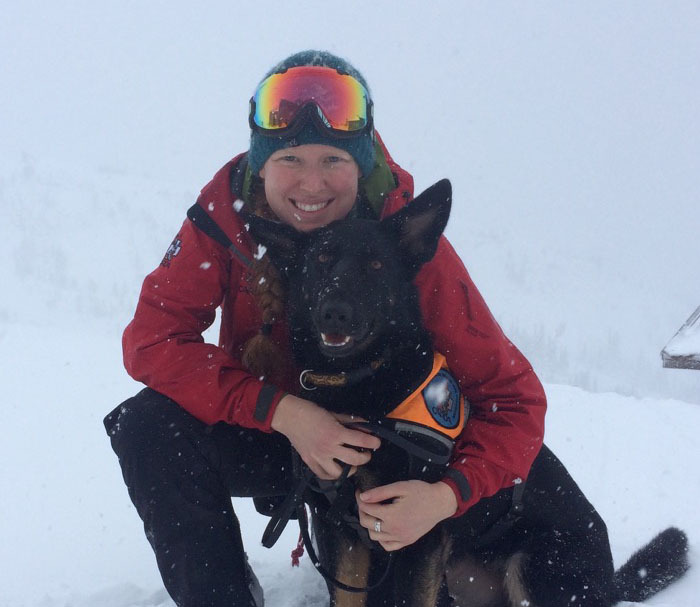 Nelson Search and Rescue now have another tool in the toolbelt when dealing with avalanche rescues after the local organization announced that team members Lindsay Eastwood and Freyja (search dog) have successfully received their validation with the Canadian Avalanche Rescue Dog Association (CCARDA) this past week. “They have worked incredible hard over the last two years to achieve this validation and become the second validated team in the region alongside Andy Lewis and his dog Jungle with Rossland Search and Rescue,’’ said Chris Armstrong of the BCSARA West Kootenay in a media release. Armstrong said Eastwood has been a professional dog handler for many years and has a second dog named Exie, who is a veteran rescue dog that was retired early due to an eyesight issue. Nelson Search and Rescue is a non-profit, volunteer organization that is registered with theBritish Columbia Provincial Emergency Program. At the request of PEP, the RCMP or other authorized tasking agency, NSAR respond to provide assistance with Ground Search and Rescue (GSAR) operations. NSAR are strong supporters of “mutual aid” and frequently assist (and request assistance from) other search and rescue groups within our region.